Remember that Buy One, Get One deal on the Galaxy S8 and S8+ that Samsung launched last month? Well if you missed it, you’ve now got a second chance at the deal. Samsung is once again offering a BOGO deal on the T-Mobile versions of the Galaxy S8 and S8+. 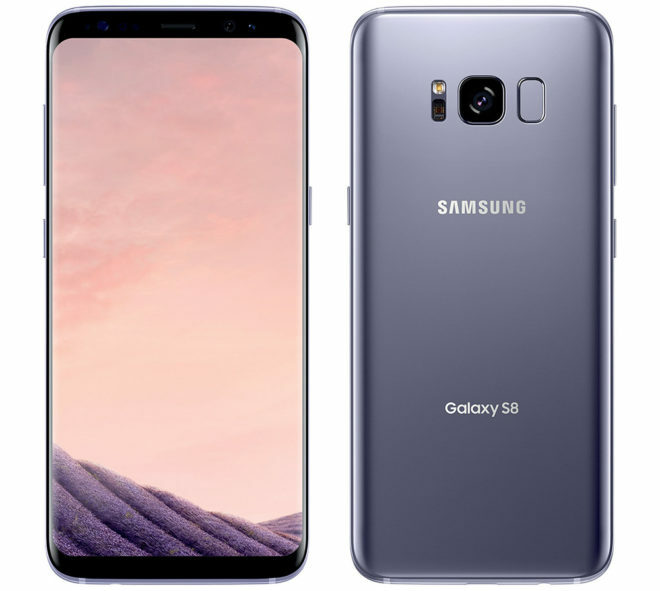 To qualify, you’ll need to purchase two T-Mo Galaxy S8 or S8+ phones from Samsung.com or the Shop Samsung app and activate at least one on T-Mobile’s network. You can activate at the time of purchase or within 14 days of receiving your phones. If you follow those steps, Samsung will give you a rebate to cover the cost of the less expensive of your two phones. Pricing for the T-Mobile Galaxy S8 is set at $31.25 per month for 24 months, or $750 full price. The T-Mo Galaxy S8+ is $32.92 per month for 24 months, or $790 full price. This is a pretty good deal from Samsung. Not only are the Galaxy S8 and S8+ two of the best smartphones on the market right now, but the deal doesn’t appear to require you to add a new line of service like some of T-Mo’s own offers. So if you’re interested in getting two new Galaxy S8 or S8+ phones and don’t mind buying from Samsung, this limited time deal is definitely worth a look. This deal doesn’t seem to come with the $49 360 camera if you were interested in that. Samsung is also running a different promo that will give you at least $200 off an unlocked S8 or S8+ if you trade in any working smart phone, and up to like 300 or 350 is it is a newer model. Samsung was also offering an extra $100 off, so if you do a search you can find the link and get an unlocked S8 for $425. International or unlocked versions may not have all the tmobile features like wifi calling, etc. For the $49 camera, you can buy any s8 and redeem through Samsung pay so you should be able to still get camera. Tmobile branded phone through Samsung is good deal, better than tmobile bogo since you have to get new line and on unlimited plan which not everyone has. I’m trying to find out if this BOGO deal through Samsung is a T-Mobile branded, or an unlocked / unbranded S8. Can anyone confirm the model number? Is it the SQ835 or Exynos model? If it’s the T-Mobile model number, I’m not entirely sure how this is any better than just going to T-Mobile and picking it up since they give you a Visa gift card as well for the 2nd phone. If you can confirm it, can you please show your source? I’m so frustrated how you add a phone to your cart on Samsung’s page but they don’t even tell you the model number of the $750 phone you’re buying! TMobile branded. I got it last time. Unbranded still gets you SQ. Exynos is international only. Youd have to buy an import without warranty. The catch I think is you activate one of the phone’s on Samsung’s site which means you’re activating a new line? Or do you have the option to activate it on an existing line? This is interesting. Two S8s for $1500. Minus $750 for the BOGO, sell my S7 Edge for $250, sell my wife’s iPhone 6 for $150, get the two S8s for $350 plus tax. The only S8+ color in stock right now is the silver, the other two are backordered in the plus model. The article states do NOT have to activate a new line. Anybody able to confirm this? That’s how it was for the last one. I will not be able to confirm until mine arrives in two days. I guess the backorder isn’t really a backorder. I ordered two black S8+ yesterday and it said they were on backorder when I checked out but both of them shipped today.